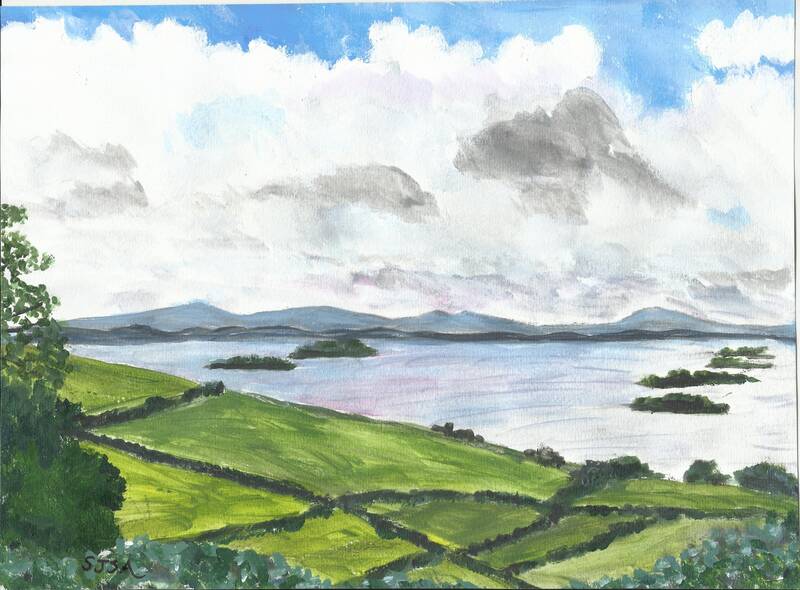 This original art captures an impression of Connemara, Ireland, on the road to Inish Bofin--a wild and magical place! The painting was deliberately sketched in acrylics rapidly, with roughly an hour as my time limit, to keep it simple, and unified. Some pencil marks may show through. You are supporting my artistic development when you buy these raw sketches, and I truly thank you!